If anybody follows me on social media, they may have noticed that this week I have appeared as though I am on some kind of mental health awareness rampage. Well, I have, but for good reason. 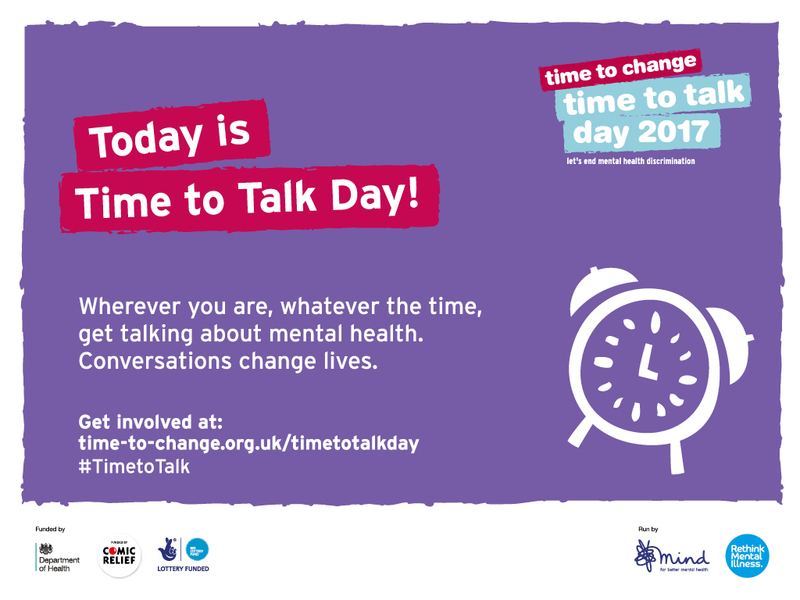 Today is Time to Talk Day 2017, a campaign initiated by Time to Talk- an organisation aiming to reduce the stigma associated with mental illness and prevent discrimination that occurs towards those with mental health problems. Throughout the week I have uploaded a new blog post, shared the overwhelming amount of views my blog has had and invited people to read an article that I have had published in Your Voice magazine. Although some people may be tired of my attempts to share my story, I do it all in good faith. I want people to see that talking about mental health problems is something that should not be feared! It happens to the majority of us- 1 in 4 people in fact. Next time you are in a room full of people, just keep that statistic in mind. You may well be sat next to somebody that could just do with a chat, without the fear of being judged, labelled or discriminated. But how can people have the courage to do this when they are constantly surrounded by comments and remarks that undermine the severity of mental health problems. 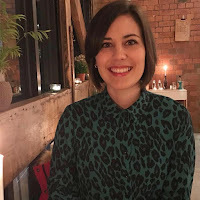 I know from personal experience that when I first uploaded that status on Facebook detailing that I was in hospital suffering with Anorexia Nervosa, I was absolutely petrified. Would my friends still want to speak to me? Will anybody understand? Will my life ever be normal? But it was these questions that spurred me on to tell everybody. It pained me to think of other people in the same situation that I was, thinking exactly the same questions and quite possibly causing their condition to deteriorate even more. I knew at that moment that I wanted to try and make a change- no matter how small that was. This is why I could not be more passionate about the Time to Talk Day campaign. We need to have conversations. We need to reassure those suffering that there are people around them that want to help. We need to reduce the attitude of the public about mental health problems. 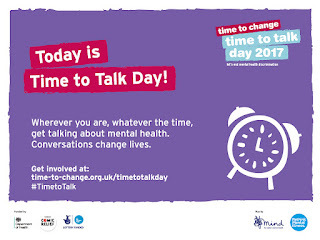 It should not be up to this campaign to give people validation that on this one day it is ok to open up about their suffering; it should be ok 24/7, 365 days a year (366 in a leap year!). Send a text to a friend that you have not spoken to in a while. Ring somebody and arrange to meet up for a coffee. Go on a walk with a group of friends. Smile at somebody. Anything. You never know the impact that you will have on that person, but you may well have just made a fundamental difference to their day.